Thule’s eagerly awaited four-wheel stroller, the Thule Sleek, is the new member of the Active with Kids family. This flexible and stylish stroller is ideal for parents who want to share city adventures with their child, and the best news is that you can now shop safely and securely for your new stroller, from the comfort of your own home, at the new Thule Online Store http://bit.ly/2OrwMZM. This is precisely why the Thule Sleek has been designed to deliver outstanding manoeuvrability. “The reality is that every mom’s day includes lots of walking, on lots of different surfaces. In an ideal world, we’d take every step on smooth tiling – but we don’t spend all our lives inside shopping centres. We’re active people who want to explore our cities with our families, and we want to do so in comfort. And we don’t want to let something like a pram that gets stuck on paving bricks to slow us down.” Neither narrow corners, nor crowded areas pose a problem for the Thule Sleek. The pram’s lightweight design promises the ultimate comfort, for both mom and baby. Equally impressive is the Thule Sleek’s ability to expand and contract on demand. Thule recognises that a family’s needs grow along with baby. “We’ve made it possible to transform the Thule Sleek into the pram you need, with a few simple additions,” Downey explains. Add a bassinet, and the pram is able to perform a range of new functions; replace it with a car seat, and it changes once more. You can also add a sibling seat or a Glider Board, making it possible to transport up to two children at one time. Moreover, the seat can be moved to face forward or backward. Plus, Thule offers a range of accessories to ensure that the pram is able to meet all parents’ needs, whatever they are. This makes it an exceptionally cost-effective offering – why buy a new stroller just because your little one has grown, when you can simply reconfigure your Thule Sleek? “With 14 different seating arrangements, it grows with your family. It can handle two toddler seats, two bassinets, or two car seats. Both seats are reversible and have a deep recline – simply put, you’ll never need another stroller,” says Downey. Of course, the Thule Sleek is carrying some rather important cargo. It has therefore been rigorously tested to ensure it complies with the highest safety standards. It’s also durable and hard-wearing, and will provide years of service. And what about looks? Thule Sleek embodies Thule’s trademark Scandanavian style, featuring contemporary design that makes it a favourite with fashion forward moms. 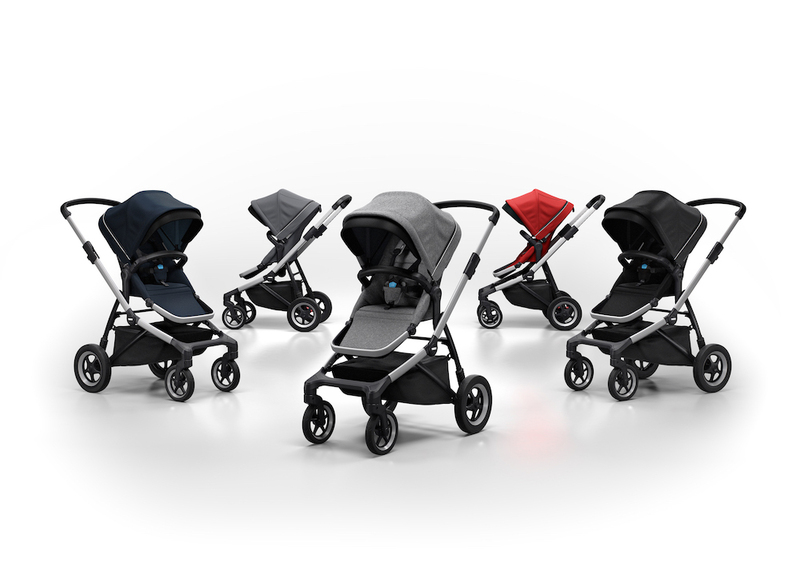 The stroller is available in Grey Melange, Midnight Black, Shadow Grey, Navy Blue, and Energy Red, complete with a range of matching accessories. “A sense of freedom is important for any mom. The Thule Sleek gives you just that,” promises Downey.